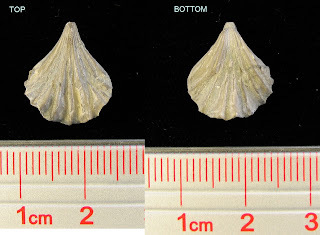 Two views of a Silurian Period brachiopod called Rynchotreta cuneata. It along with 8 other brachiopods (Anastrophia internascens, Atrypa newsomensis, Eospirifer eudora, Eospirifer radiatus, Homoeospira evax, Parmorthis waldronensis, Stegerhynchus sp., and Whitfieldella nitida) are up for auction at this eBay link. 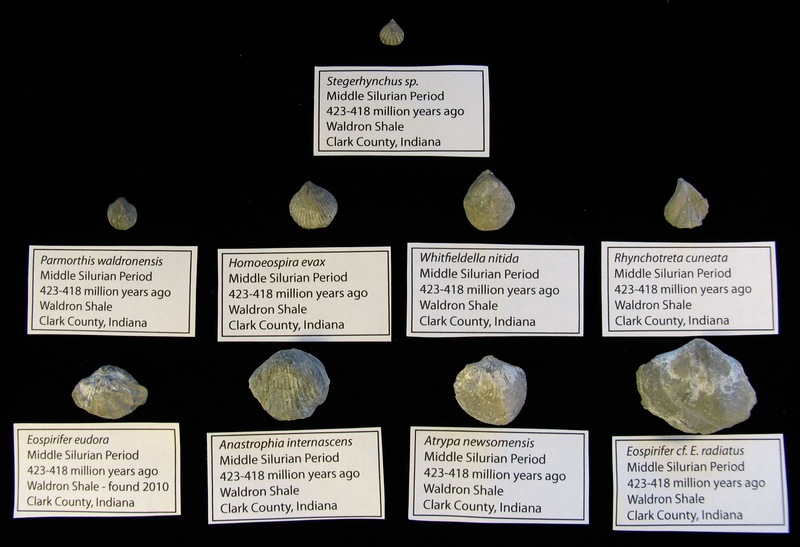 Learn more about the different brachiopods that can be found in the Waldron Shale of Indiana at this LINK. 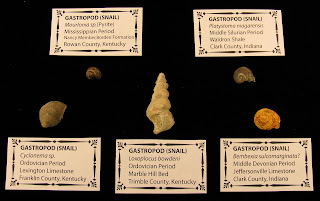 Two more auctions of 5 gastropods from the Ordovician through Mississippian Periods (LINK HERE) and 7 fossil corals from the Silurian through Mississippian Periods (LINK HERE) are available for viewing on eBay (auctions end March 25-27, 2011). 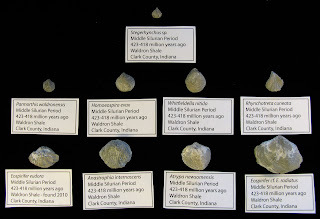 See labels in pictures for more details. 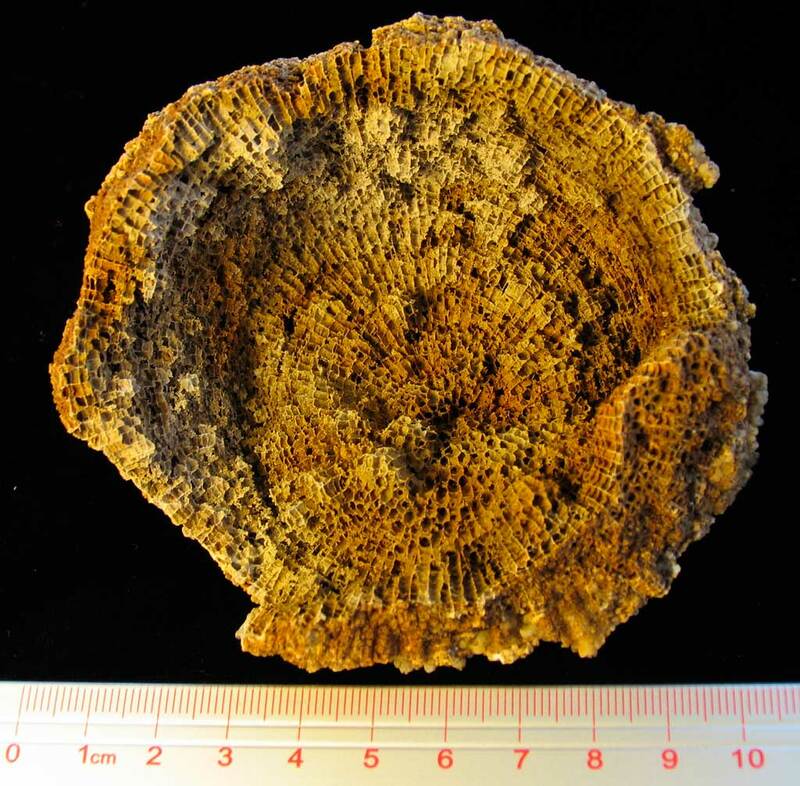 This nicely preserved Favosites turbinatus coral that is fairly large with about a 10 cm diameter. 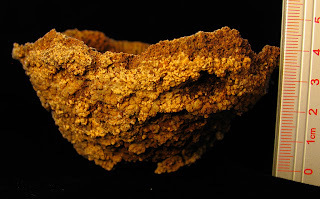 The preservation is quite nice and cleaned by early Spring rains. 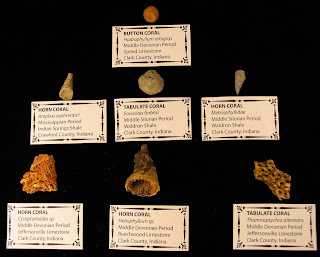 The coral is from the Beechwood Limestone of Jefferson County, Kentucky. Middle Devonian Period is the time frame this colony of animals existed in. 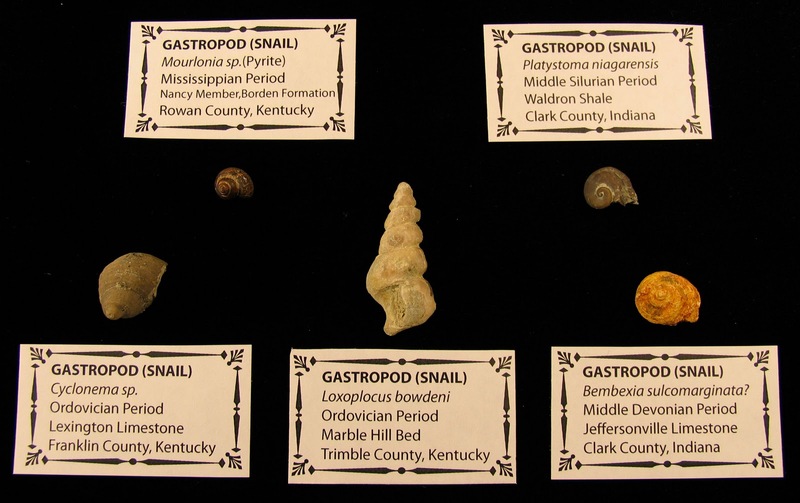 Species was named by Billings in 1859. 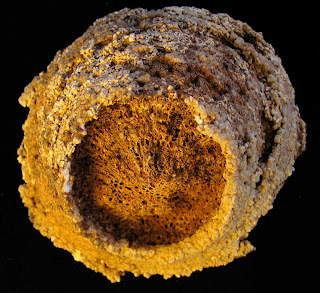 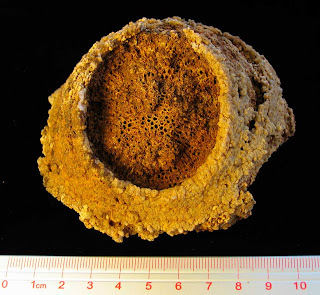 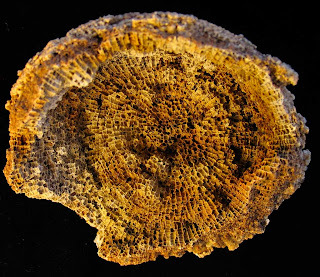 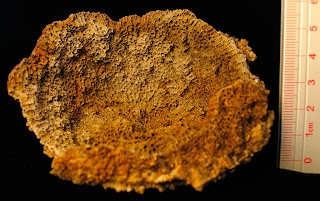 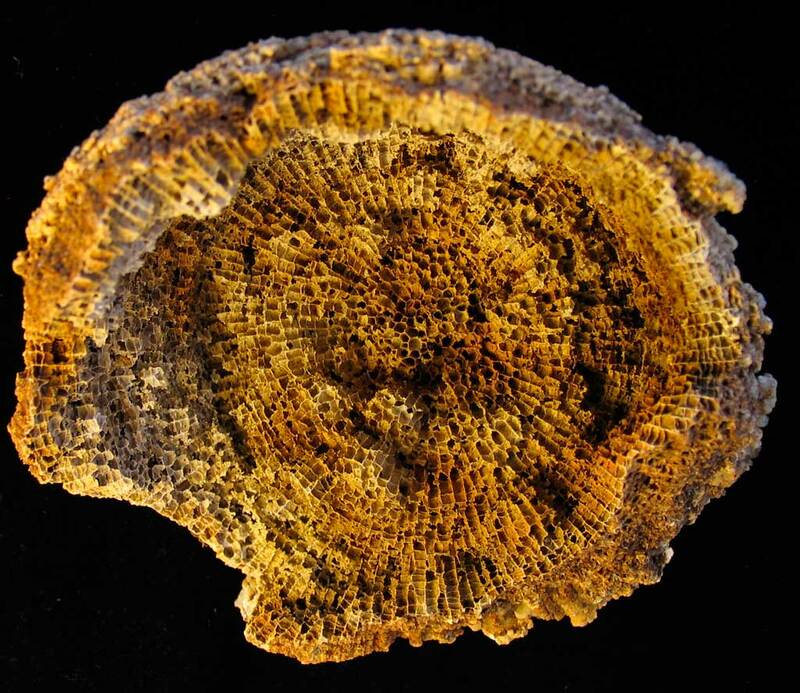 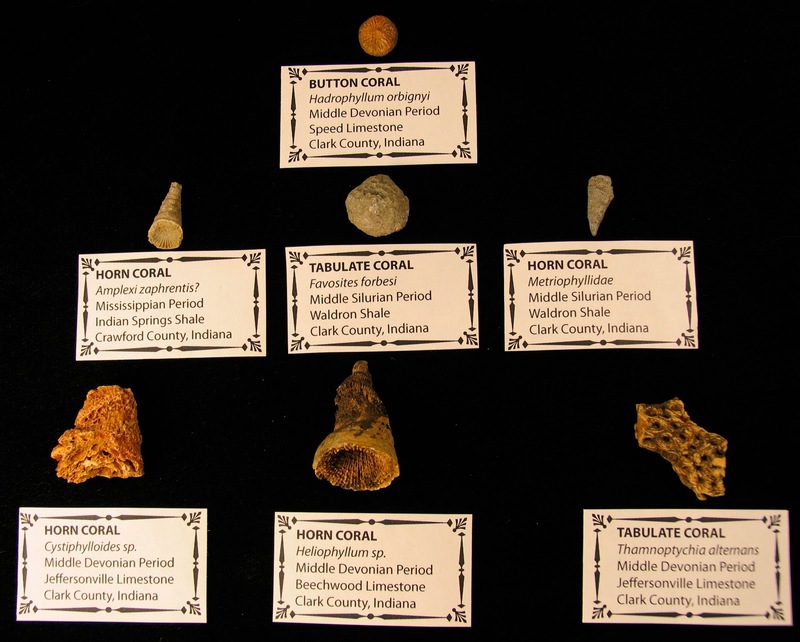 These corals are found in other areas of North America: Hungary Hollow Formation and Onondaga Limestone of southwestern Ontario; Hamilton Group and Onondaga Limestone of New York; and Bois Blanc Formation and Prout Limestone. UPDATE: The next two pictures show the coral from side views.